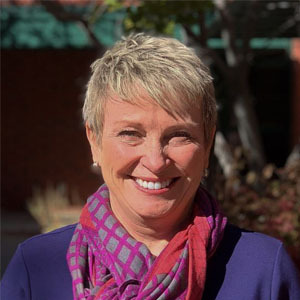 Cindy Bell is the Executive Director of HomeAid Colorado headquartered in Denver, CO. Follow them on Facebook, Twitter, Instagram and LinkedIn and learn more at homeaidcolorado.org. HomeAid Colorado’s mission is to build new lives for Colorado’s homeless through housing development and community outreach. Housing Development Program: We are able to build housing facilities for reputable nonprofit organizations who provide housing and programming to the homeless, by leveraging our relationships within the homebuilding industry to garner in-kind donations of labor and materials. This collaboration allows nonprofit care providers to focus their energy and resources on providing direct services that help residents move toward self-sufficiency, such as education, job skills training and emotional support. Community Outreach Program: Similar to our homeless housing development model, we collaborate with community partners and local nonprofit organizations focused on alleviating poverty and ending homelessness to relieve the burden on shelters in offering much-needed essential supplies to the families they serve. Regardless of background, economic status, level of education or other socially defining characteristics, everyone deserves a safe, dignified place to call home and an opportunity to build second chances. As of today, we have built 56 housing units offering 393 beds on any given night for veterans, adults with intellectual disabilities, at-risk youth, survivors of domestic violence, and more. And in the last five years, we’ve collected and distributed more than $450,000 worth of in-kind supplies to thousands of individuals and families needing hygiene items, diaper supplies, household goods, and cleaning products. For people without one, a home changes everything. It offers so much more than a place to sleep; it is a place to feel safe, to grow together as a family and to work towards a brighter future. The nonprofits we serve and especially the people that reside in the homes we’ve built and recipients of essential items inspire us each and every day to continue the work we are doing. This year, we hope to complete four building projects, which will add or preserve 46 beds on any given night for teen mothers and their babies, at-risk youth and families across the state of Colorado. In relation to our outreach program, we hope to collect and distribute 1.2 million diapers to low-income and homeless families and to provide other basic necessities such as household goods, hygiene items, and cleaning products to individuals and families moving into our housing units. Our dream is to serve more people, by providing everyone with basic necessities, support services and access to safe, dignified housing. In order to support the growing number of people that are or have experienced homelessness, we must continue to foster our relationships with the homebuilding industry, community partners and nonprofit agencies to collaborate on future projects and the best ways to serve our community. Our biggest challenge that we face is connecting with nonprofit organizations that are looking to expand their programming in order to serve more people in need. Funding, capacity, timeline, location, and success of the program currently in place are all factors we consider before approving a housing development project. Volunteer, attend our annual and special events, donate, provide donations such as winter garments, diaper supplies, household goods, hygiene items, and cleaning products, connect us to other nonprofit organizations and share the work we do within the community.